These contemporary and luxurious Whistler vacation rentals are located in the exclusive Lookout duplexes at Taluswood, located alongside the slopes of Whistler Mountain. These homes feature ski-in/ski-out access leading to Whistler's Creekside Gondola base - the ski-in access is from a ski trail off of the Dave Murray downhill run, and the ski-out access is a short walk down a foot path and across a road to the slopes (both are ski conditions permitting). 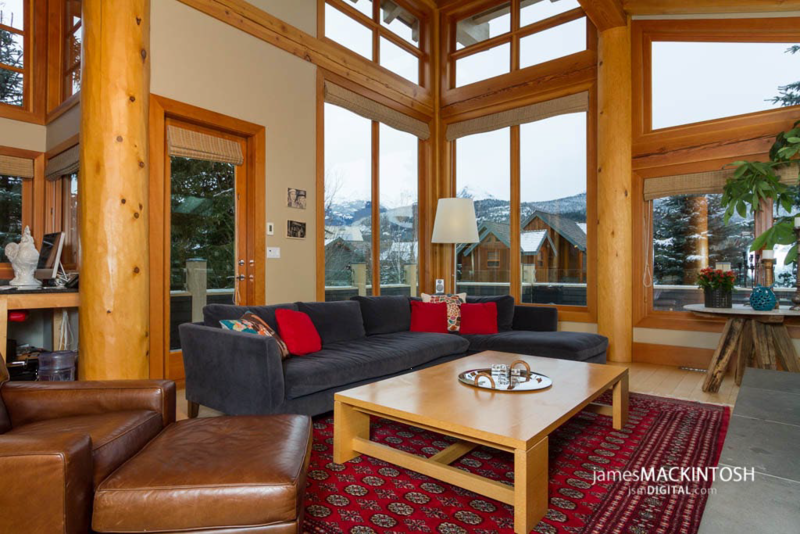 With their high location above the Whistler Valley, the duplex features spectacular views of the lakes and mountains. These homes offer designer kitchens with gourmet touches such as granite counters and stainless steel appliances, and added high-end touches in the open-plan layout with hardwood floors, heated flooring and dark wood accents and blinds. Units also feature TV/VCR/CD stereo media centre, an insuite washer/dryer, private view deck, rock-faced gas fireplace and for added luxury, a private outdoor HOT TUB. 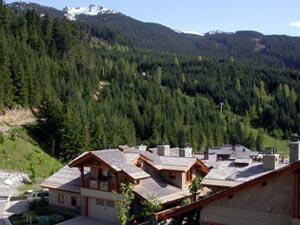 guests of this exclusive property will enjoy spectacular views of Whistler Peak and West Bowl. This home combines luxury with a prime ski in/ski out location. This home has considerable upgrades including Italian kitchen and closets, luxury bathrooms with limestone countertops and flooring, steam shower, oversized hot tub and custom cabinetry.